Dr. Constantin Gurdgiev is the Adjunct Lecturer in Finance with Trinity College,Dublin. He currently serves as the Chairman of Ireland Russia Business Association, and holds non-executive appointments on the Investment Committees of Sierra Nevada College (US), and Heinz Global Asset Management, LLC (US). Dr. Gurdgiev also lectures in the Smurfit School of Management, University College Dublin and is research-active in international macroeconomics and finance, investment markets research, as well as economic policy analysis. Dr. Gurdgiev is a regular contributor to / columnist with the Irish edition of the Sunday Times and the Village Magazine. He frequently contributes commentary and analysis to BBC, CNN, Al Jazeera, RT, Bloomberg and Reuters, as well as to a range of international newspapers and business publications. In the past, Dr. Gurdgiev served as the Head of Research with St Columbanus AG (Switzerland), the Head of Macroeconomics with the Institute for Business Value, IBM, Director of Research with NCB Stockbrokers, Ltd, and Consulting Editor, Group editor and Director of Business & Finance Publications. He also held a non-executive appointment on the Investment Committee of GoldCore, Ltd (Ireland). Born in Moscow, Russia, Dr. Gurdgiev was educated in the University of California, Los Angeles, University of Chicago, Johns Hopkins University and Trinity College, Dublin. Dr. Gurdgiev serves as a Patron of the Phoenix Project and a Founding Director of the Irish Mortgage Holders Organisation, Ltd.
1. Irish economy: forecasts, outlook, analysis of domestic and exporting conditions; fiscal (budgetary) policies; monetary conditions (credit supply, costs, interest rates). 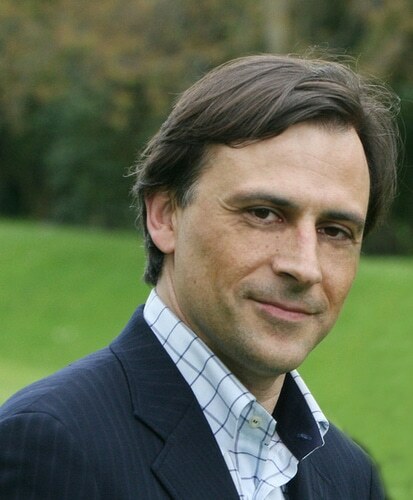 Dr. Gurdgiev provides unique analysis based on individual POV anchored in actual data from a range of sources, including sources not accessible to general public and majority of Irish analysts and media pundits. 4. Economic trends and drivers: longer-range views on economic development worldwide and in Ireland with focus on drivers for growth (consumer, B2B services, manufacturing, investment). Changes in global growth drivers, including physical capital investment, financial markets and human capital. Technology – growth nexus. 5. Investment markets and strategy (covering international markets). Dr. Gurdgiev draws in his analysis on consulting and thought-leadership experience acquired with the likes of IBM, as well as academic expertise.